My extended family got a little bigger over the weekend. 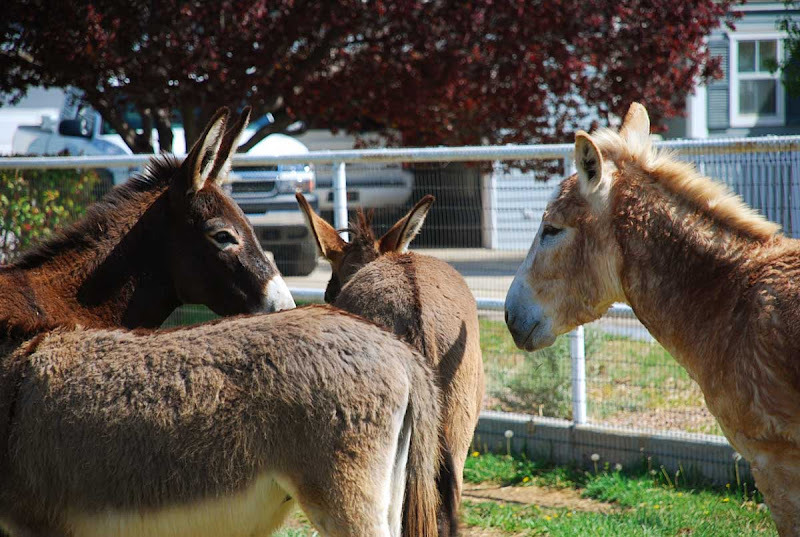 My friends at Morning Bray Farm (home to Bernard and Ellsworth) traveled to the BLM facility in Canon City, Colorado, to adopt "a" BLM burro. Of course they came home with two, but I'll leave it to them to tell you the whole story. Meanwhile, I got to meet these handsome boys yesterday. but overall everybody's getting along great. and the ever-important stick game. I'm confident they're up to the task. They certainly are some handsome boys, and I'm amazed, yet thrilled, that all 4 are in the pasture together already and had to LOL about them developing their 'certain skills'. They don't seem to be wasting any time. Soooo Carson, will George and Alan be getting any brothers soon? I'm sure George & Alan are great teachers and they will be pros in no time! 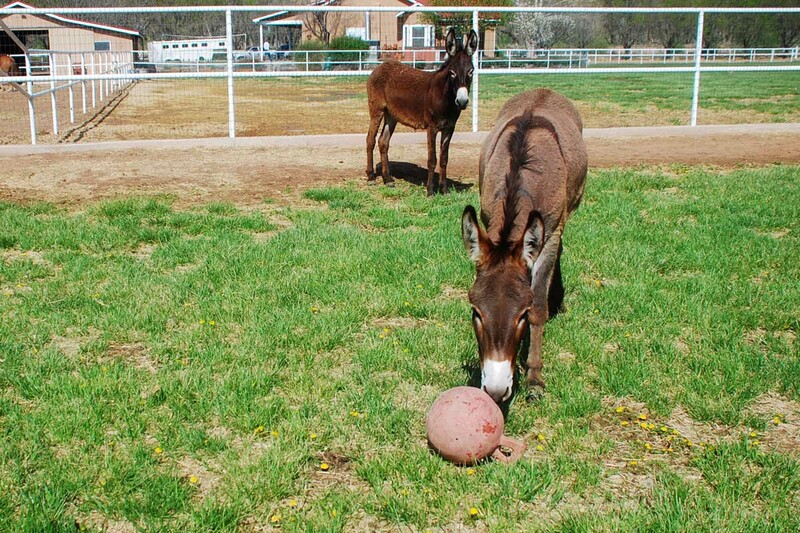 Hmmm...if the burro boys could meet up, I see equi-soccer in their future. (We saw a demo at the MidWest Horse Fair this weekend, and it looked like great fun!) Go team burro! That's wonderful. I'm so glad that two more burros found a good home. They are adorable. Adorable and congrats to Morning Bray Farm! Nigel and Fergus are very handsome! 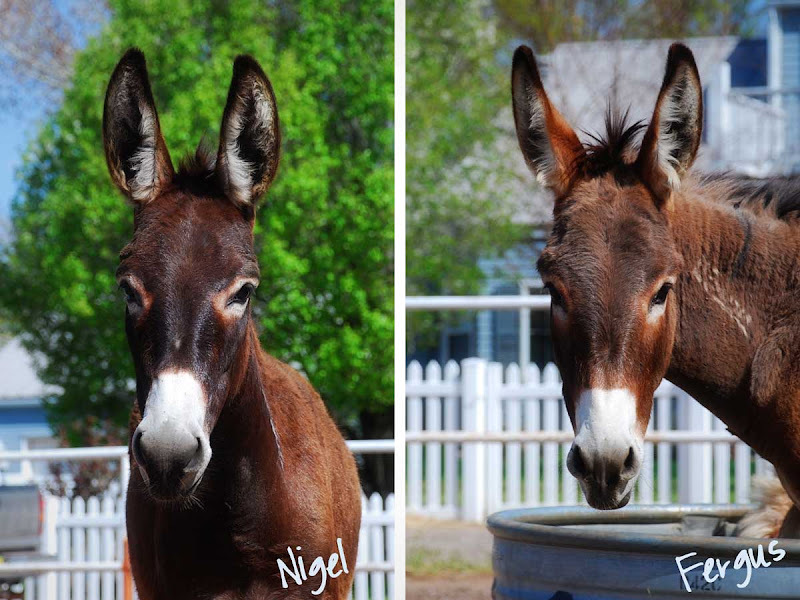 Wonderful that another two burros found their forever home. aww They are so cute, and I love their names! An incredibly handsome pair. So happy that you were able to be there to welcome them to their new home, as well. I am so in love with the burros - all of them! I wish I could have a few of my own, but we have 'rules' against that sort of thing! Bah, humbug. We'll have to move to a less restrictive place so I can enjoy watching the antics! But, until then, thanks for posting such great pictures. I look forward to seeing 'the boys'! The family grows! Handsome boys they are! I see a burro party in the future!!! Sign me up. 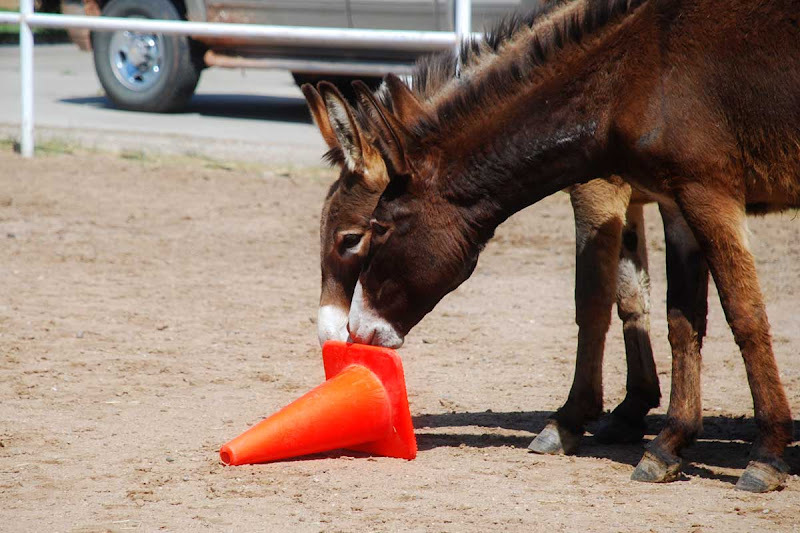 As soon as we get pasture fencing, we're getting burros. 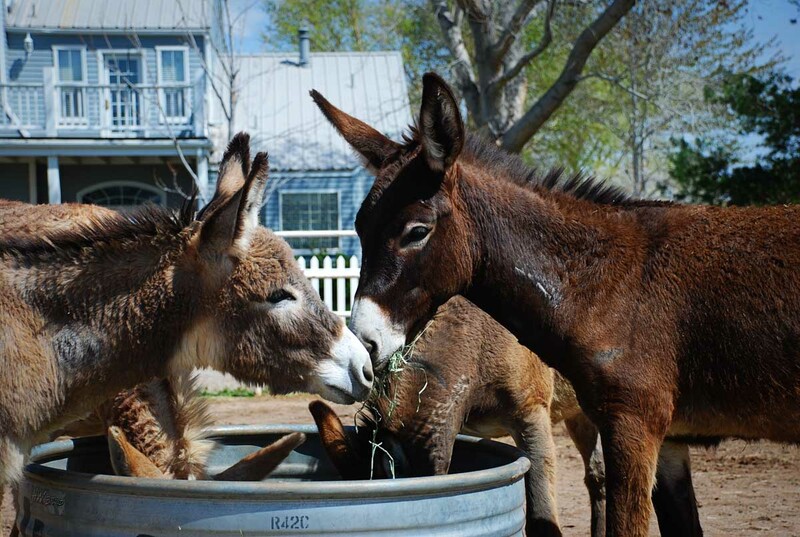 Oh, that's just enough burro cuteness to make your head 'splode! We were all so happy to see you yesterday. Dang Carson, as always, you took some phenomenal pictures! Oh! 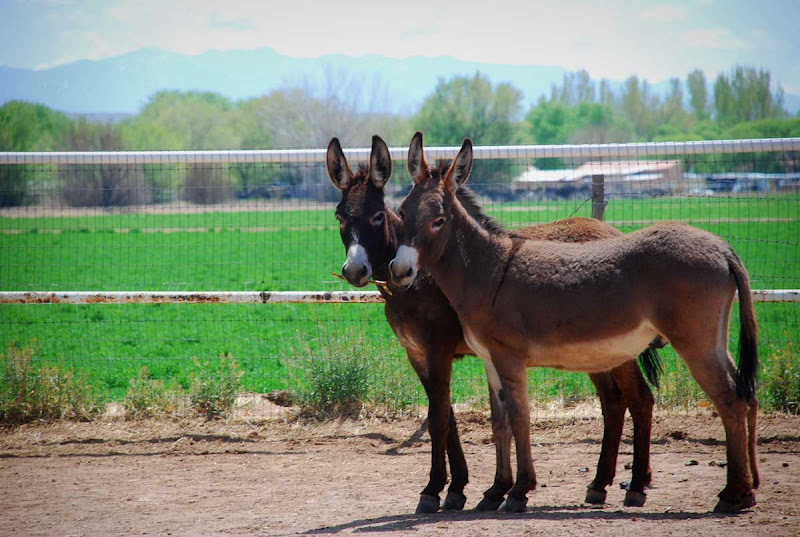 I would give just about anything to adopt a couple burros, too. My neighbors have already said they would not be happy with burros, though. Ahhhh...more ambassadors for the world of donkeydom. A couple of very lucky guys to make their way to MorningBray Farm! That is so great!! The new ones are so darn cute. Glad Alan and George can help out in so many ways! More cute ears to watch. Maybe your boys could play their boys in a game of jolly ball. My "burro awareness" has been heightened thanks to you and Morning Bray Farm! How about a post on your animal photography...tips, etc.? Your pictures are always fantastic! Oh they are beautiful! My husband will be wanting to see them... 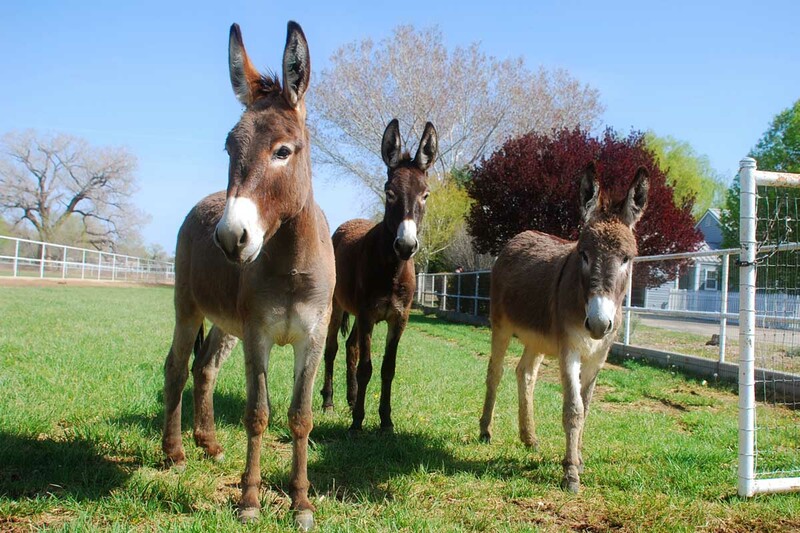 I can;t wait to have a farm...I really would like burros/donkeys/mules...I adore them all. Have you ever done a post on the differences/ likenesses history kinda thing between them all? Let me know..would love to read up on that...and with your photography, would be a lovely post! They are just sooooo cute!